The Appointments Committee of the Cabinet (ACC) chaired by Prime Minister Narendra Modi has appointed Anil Kumar Chaudhary as new Chairman of Steel Authority of India Ltd. He will be in office till his superannuation in December, 2020. He will succeed P K Singh. Prior to this appointment, he was serving as Director (Finance) at SAIL. SAIL is one of the largest state-owned steel in India and one of the top steel makers in world. It was founded in 1954 and incorporated in 1973. Its headquarters are in New Delhi. The inaugural General Assembly of International Solar Alliance (ISA) will be inaugurated on 2 October 2018 in New Delhi. ISA was jointly launched by India and France in November 2015 at Paris on side lines of COP21 UN Climate Change Conference. Its Framework Agreement came into force in December 2017. Its founding conference was held on 11 March 2018 in New Delhi. ISA is action-oriented organization that aims to bring together countries with rich solar potential to aggregate global demand, thereby reducing prices. Indian Space Research Organisation (ISRO) is setting up third launch pad at Sriharikota, Andhra Pradesh to undertake Gaganyaan manned space flight programme. ISRO currently has two launch pads which are already full. Third launch pad is being set up for the human space flight. In addition, ISRO is scouting for location on western sea coast near Gujarat to set up another launch pad for Small Satellite Launch Vehicles (SSLV). Tamil Nadu government has announced Scheme for protection of exotic Neela kurinji (Strobilanthus kunthianus) plants that flower only once in 12 years. This scheme comes following complaints that these rare and ecologically unique flowers are being packaged and sold on the commercial basis. 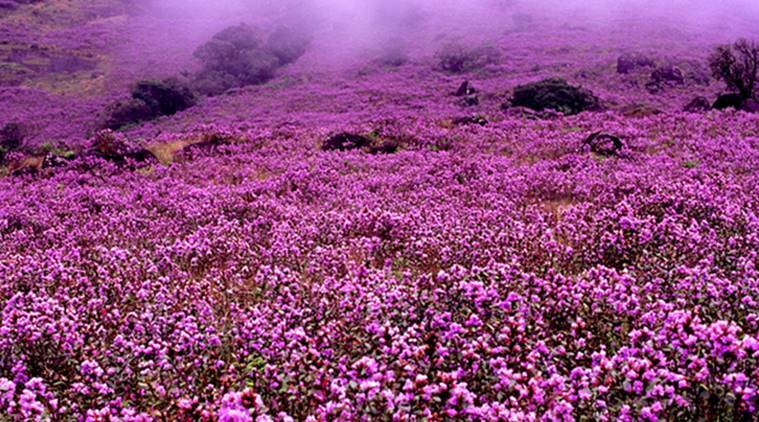 Neelakurinji is a tropical plant species. It is rarest of rare plant species that grows in Western Ghats and does not grow in any other part of the world. It has been categorized as endangered. The Cabinet Committee on Economic Affairs approved to construct new line between Budni to Indore (Mangaliyagaon) with approximate length of 205.5 Km. The total estimated cost of this project is Rs 3261.82 crore. The main purpose of this project is the development of backward area and reduction in travel time from Indore to Jabalpur as well as from Indore to Mumbai and towards southern side, as this will reduce distance by 68 Kms. 10 New crossing stations and 7 new halt stations are proposed to be constructed enroute. The Union Cabinet Committee on Economic Affairs, chaired by the Prime Minister Narendra Modi on September 19, 2018 approved ASHA Benefit Package with effect from October, 2018, which will be paid in November 2018. The Union Government will be providing funds worth Rs 1224.97 crore for two years 2018-19 and 2019-20 for the implementation of the benefit package. The eligible ASHAs and ASHA facilitators will be enrolled in the Union Government’s social security schemes including the Pradhan Mantri Jeevan Jyoti Bima Yojana and Pradhan Mantri Suraksha Bima Yojana. The Supreme Court bench Justices Ranjan Gogoi amd R F Nariman on September 19, 2018 ordered resumption of filing of claims and objections by around 40 lakh people who were left out in the draft National Register of Citizens (NRC) of Assam. The National Register of Citizens (NRC) is a list that contains names of Indian citizens of Assam. The first draft of the NRC for Assam was published on December 31, 2017 and the second and final draft was released on July 30, 3018. North Korean leader Kim Jong Un and South Korean President Moon Jae-in on September 19, 2018 signed an agreement on denuclearisation, reducing military tensions and defusing crisis on the Korean peninsula. The talks were hosted by North Korea in its capital city Pyongyang. The joint agreement between the North and South Korea specified measures including a joint military committee, the halt of border drills and the withdrawal of 11 border guard posts by the end of the year, in order reduce the risk of military escalation. 1. Where is the headquarters of International Solar Alliance (ISA)? 2. Where is the third launch pad being set up by ISRO for Gaganyaan manned space flight programme? 3. Neela kurinji plants flower once in __ year. 4. The Cabinet Committee on Economic Affairs approved to construct new line between Budni to ____ with approximate length of 205.5 Km? 7. Where was the agreement on denuclearisation, reducing military tensions and defusing crisis on the Korean peninsula between North Korea and South Korea signed?